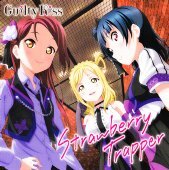 This CD contains character songs and audio drama for Love Live! Sunshine!! (ラブライブ!サンシャイン!!). 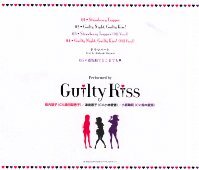 Songs and drama by the Love Live Sunshine subgroup Guilty Kiss, made up of Aida Rikako (逢田梨香子), Kobayashi Aika (小林愛香), Suzuki Aina (鈴木愛奈).